We are at the dawn of the next big technology change where everything is connected and software is embedded in our lives. This technology change is bringing new opportunities and new threats. Cycle time for innovation is 5–10X faster, and oil and gas companies can no longer compete unless complexity is reduced, business is re-invented and data becomes the fuel for value creation for customers and shareholders. With SAP S/4HANA, you can now enable your digital enterprise and drive this value creation. SAP S/4HANA® is the real-time platform at the core of the digital energy network, enabling companies to connect seamlessly both internally and externally. The digital energy network starts with a digital core that interconnects all aspects of the value network in real-time to drive business outcomes. The digital core gives oil and gas companies the opportunity to rationalize and simplify core business processes and integrate processes with analytics in real-time to enable a smarter, faster, and simpler enterprise. 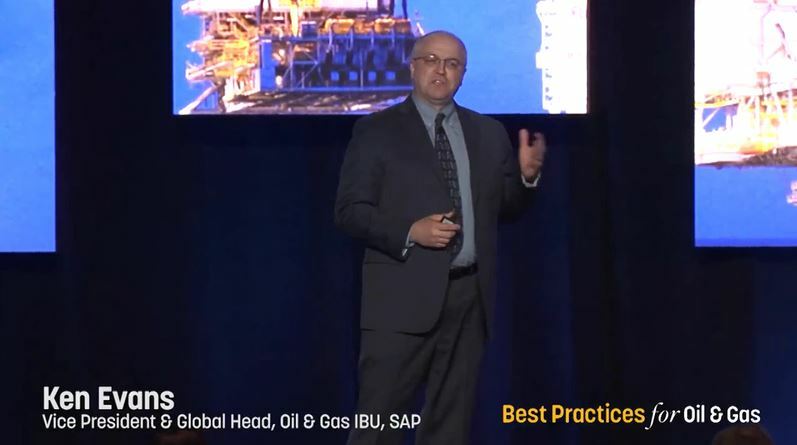 You can see the complete presentation, including a live demonstration of the latest release of S/4HANA, recorded at the Best Practices for Oil and here. The Best Practices for Oil and Gas conference is produced by SAP’s partner, Eventful Conferences, and will be held on October 16-19, located at the Woodlands Marriott, just north of Houston. Find more information about the conference and register here.